Fresh flowers line the aisle, embellish tables, and are tossed to your single ladies. They are capable of transforming your wedding and creating an ambiance perfect for encapsulating your theme. There are so many places in your wedding for beautiful flowers to flourish and are a must for decorating your ceremony and reception. Extend the amount of time you have to admire the flowers you’ve selected by repurposing and reutilizing them. Most wedding flowers are thrown away after a day. Repurpose your flowers as a sustainable and cost effective take on traditional flower decorations. This will allow you to reduce your carbon footprint while increasing the longevity of your precious flowers. One way to maximize your flower usage is by incorporating your arrangements from the ceremony in your reception. 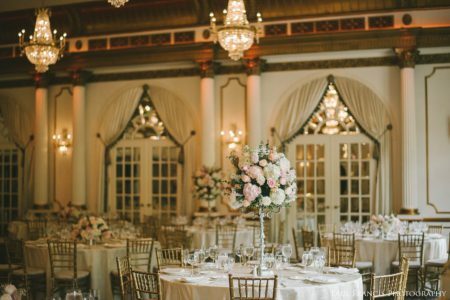 Coordinate with your floral team to move and rearrange flowers to create a different look for your reception. Try adding a couple new flowers to refresh the bundle or centerpiece. 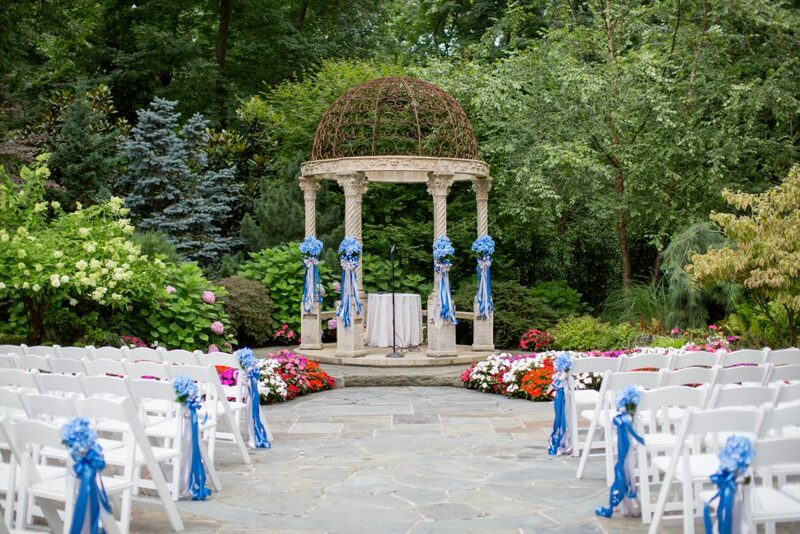 The same flowers will establish the flow and the continuity of your theme from the ceremony to the reception. This quick change can be done during the cocktail hour so your guests won’t ever know. Receiving flowers just because is a great feeling – another way to repurpose your flowers are to give them away as gifts. Coordinate with your florists to have them wrap flowers while guests are dancing. Your guests will love and admire their take home bouquets. Go a step further and allow guests to take home the center pieces but remember to include a vase purchase agreement with your florist. If you’re feeling philanthropic, consider giving your floral arrangements back to the community. Charities like Repeat Roses identify local non-profits “whose residents’ lives could use a little brightening up.” Your wedding flowers can then be repurposed to use in hospices and cancer treatment facilities and to victims of homelessness and domestic abuse at local shelters. These flowers brought joy to you and your guests, and could significantly brighten someone’s day. Ever consider the morning after? Use your floral arrangements for a morning after brunch. This could be a fun way to recap on everyone’s night and what they thought of the wedding. Share highlights and sip mimosas surrounded by the same center pieces that these memories were made around. Add a millennial touch to the traditional flower trends by incorporating potted plants. Live arrangements will last significantly longer than cut flowers. This means you can admire these flowers for weeks after your wedding day or for future years to come. Plant the potted plants from your wedding at your house, or your parent’s house to see your floral arrangements bloom every season. This is a perfect reminder of your special day. 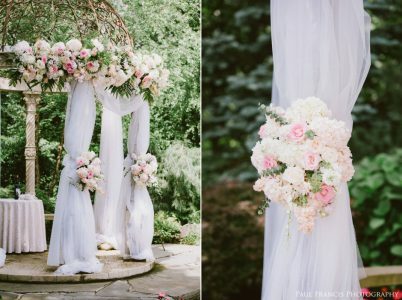 Flowers bring a special element to a wedding: They add so much life and color. With all the ways to incorporate flowers, there are many opportunities to be sustainable. Make the most out of your arrangements; reutilize or repurpose them. Be sure to follow us on Facebook, Twitter, and Instagram. 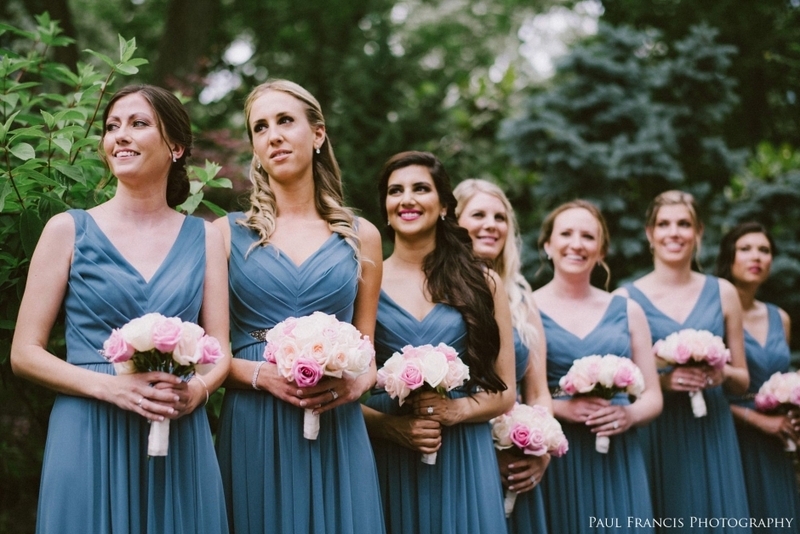 Header photo by Paul Francis Photography.